Ever since we can remember, there have been people of all colors living around us in different parts of the world. From the glistening melanin-rich skin of the native Africans, the pale Caucasian skin seen in Europe and America, to the dusky gleam of skin we come across in India, the variations are limitless. This is all determined by an important part of our skin’s structure, which produces the pigment that gives us color. Pigmentation is the term coined for this process, and it decides what color appears on what part of our skin. Pigmentation is essentially the coloring of our skin, hair, and retina that is caused by the production of a pigment. This particular pigment goes by the name of melanin and cells known as melanocytes specifically produce it(1). A healthy skin would be reflected in an even distribution of pigment throughout the face and body. On the other hand, any defects to the cells or in melanin production may lead to targeted patches of irregularity or overall disruption in skin tone. This is often when pigmentation becomes a skin condition to be treated(2). The three major types of skin disorders that are caused by such pigmentation irregularities are hypopigmentation, hyperpigmentation, and depigmentation. Hypopigmentation is one skin condition that leads to the decrease in pigment in certain patches of skin all over the body(3). It is firstly important to differentiate correctly between hypopigmentation and depigmentation. While hypopigmentation is merely the decrease in pigment presence in certain parts of the skin, depigmentation is the total absence of it. The causes for hypopigmentation usually either trauma or injury related, or a genetic disposition. Trauma to the skin like accidental wounds, blisters, burns and even infections can leave behind damage in the form of hypopigmentation(4). Additionally, to fuel people’s frantic pursuit of lighter skin, there are certain cosmetic treatments that tend to cause this condition if administered incorrectly. These include chemical peeling and laser therapy. However, the genetic dispositions that lead to hypopigmentation usually show up at birth or early childhood and tend to be chronic. These are primarily diagnosed as vitiligo or albinism. As mentioned above, depigmentation is the random absence of pigment in the skin. It is more often a genetic disposition that reveals itself at birth. Albinism is the leading skin condition that exhibits depigmentation(5). The melanocytes, which are meant to produce melanin fail to do so, leaving the surface of the skin completely uncolored. Hyperpigmentation is the skin condition which occurs when there is excessive production of the pigment melanin(6). This can be visibly seen as darker patches of skin all over the body where the affliction takes place. Depending on what your skin tone is, these patches may range between anything from a tan color to dark brown. There are numerous possible triggers for hyperpigmentation that you have chances of coming across in a lifetime. One such trigger experienced by women is during pregnancy. There is a phenomenon known as the “pregnancy mask” which sets in at times for certain pregnant women. This is when the facial skin turns darker than its normal skin tone. Many women who expect to get the much-hyped “pregnancy glow” often feel cheated when they fall prey to this condition instead. This is scientifically termed as chloasma, and it is a result of the inevitable hormonal changes that the woman experiences during the early stages of pregnancy. This is because excess estrogen in the system can sometimes trigger a condition commonly called melasma, of which chloasma is a pregnancy-specific type. This is when the melanin-producing cells are triggered to produces excessive amounts of melanin, the pigment that gives the skin a dark color(7). This condition is scientifically termed “Hyperpigmentation”, and is one that is very evident on the skin. Many people suffer a blow to their self-confidence and emotional stress often follows. The unfortunate fact is that emotional mood swings and stress is just another contributor to hormonal imbalance and may worsen such existing skin conditions. Moreover, hyperpigmentation can be seen in smaller scales when exposure to sunlight becomes too extensive. Sun damage exhibits itself through hyperpigmentation in initial stages. It is also capable of darkening of areas already suffering from hyperpigmentation. Exposing skin to the sun’s harmful ultraviolet rays (UV-A or UV-B) means allowing the formation of free radicals that can damage cell structure, leading to hyperpigmentation(8). Lastly, hyperpigmentation can also be the side effects of certain medications such as antibiotics and antimalarial drugs. What causes pigmentation on the face? The reasons for pigmentation on the face are no different than the reasons for it occurring in other parts of the human body. One of the reasons why this may specifically affect the face has to do with the skin on our face. It is known to be more sensitive and thinner than skin elsewhere. Hence, even moderate sun exposure without protection can lead to pigmentation. Melanin as a pigment is a constituent that protects the skin from harmful UV exposure and is a leading fighter against the threat of skin cancer(9). However, such sun exposure tends to unnecessarily trigger the excessive production of melanin. This is why we witness darker skin after spending a long day out and about in the sun. The second biggest culprit for pigmentation, specifically on the face is the hormonal imbalance. In this case, a possible presence of excess estrogen can lead to the immune system unwantedly triggering the production of melanin, even though there is no actual need for it. Amongst the many up-coming trends in pigmentation treatment include a procedure called microdermabrasion. This is well-known for being a non-invasive and non-chemical procedure that makes use of a microcrystal spraying technique to get rid of the outer layer of dead skin and debris(10). This exfoliating and cleaning process is meant to be a step forward in reducing pigmentation and its effects. It additionally helps in increasing collagen levels, which prompts the production of new skin cells. For now, this is touted to be a safer procedure than other surgical options. Still, the opinion of a dermatologist after having your skin diagnosed might be needed before undergoing the procedure. Since pigmentation is naturally a part of the skin, it cannot be classified as something that is completely curable. However, for people suffering from its more negative conditions, there are different types of remedies and solutions of varying intensity that can help in fixing irregularities. The possible forms of treatment for pigmentation, in general, can depend on the degree of change someone prefers. For people looking to merely reduce a tanned look and remove excessive darkening tend to opt for natural remedies like honey, baking soda pastes, and lemon juice, all of which have natural bleaching properties. Otherwise, more drastic measures include topical medications that mostly contain a strong drug known as hydroquinone(11). It is well known for lightening dark patches of skin damaged by sun exposure or liver spots and dark spots. However, it is an extremely strong drug that must be applied with utmost caution because of its extensive list of possible side effects. Ideally, only dermatologists and experts should be prescribing this to patients who need it. Lastly, the last resort for people with severe forms of hyperpigmentation is surgical procedures like chemical peeling and laser therapy that help in removing the damaged skin to reveal younger and healthier skin underneath. But these are extremely abrasive procedures, which if done incorrectly can leave the skin severely damaged. This is why skin specialists and dermatologists are always recommended for consultation before patients take drastic or impulsive decisions. 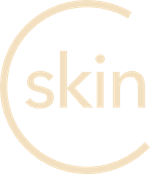 Experts like Dr. Charu of Cureskin specifies that “treatment for pigmentation comes with stages of first controlling any and all triggers that may be aggravating the condition, and secondly, correcting the issues by starting with constant sun protection and exfoliating and cleaning away the damaged skin”. This may be the first healthy step to take towards having more evenly pigmented skin.